Work has not stopped behind the construction fence. As promised in the previous post, transformers were placed into position inside the vaults last week. This required a crane to lift the transformer over the park's perimeter wall, and down into the site. Above you can see notches in the side of the concrete vault that were used to support the transformer, which is suspended off the ground, so it stays dry. This installation marks the completion of the main structures for the power facility, and it is now time to finish connecting all the pieces. 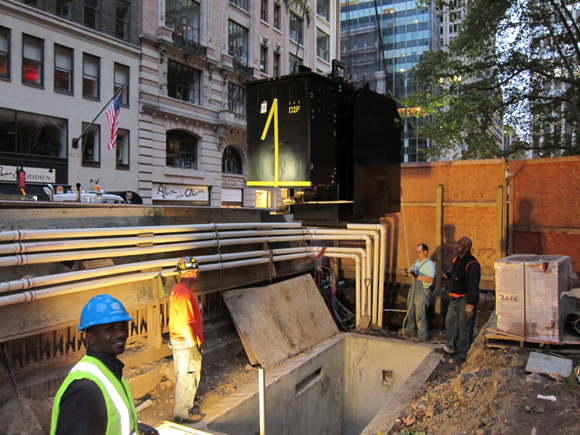 While work advanced within the park, Con Edison crews began work in 40th Street to connect existing ConEd manholes to the new transformer at the park's edge. 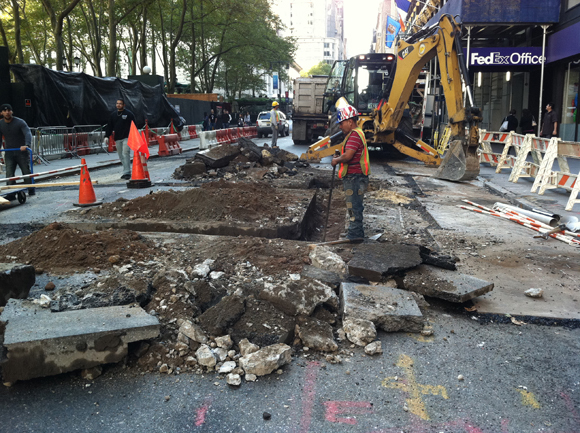 The street was closed over the weekend, so trenches could be dug to lay conduit. Wire pulling will commence in the next few days through these ducts to bring power resources to the park's grid. From the transformers, power will travel to the bus compartment, which will feed the park's switchboards in the switchgear room, and from here wires travel throughout the park to manholes and various new power and light sources. 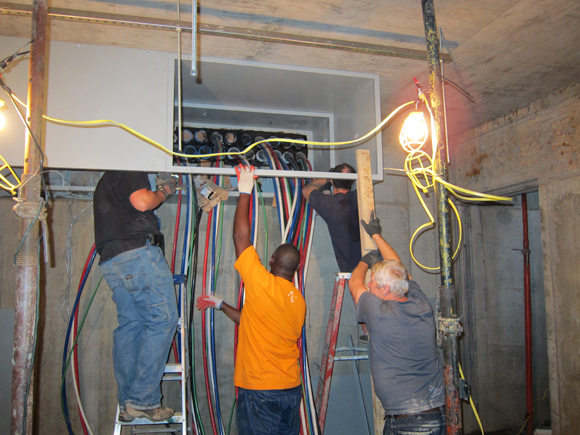 Here you see crews inside the switchgear room pulling wires. It is amazing to think that most of the work is complete. We're just waiting on wire connections. 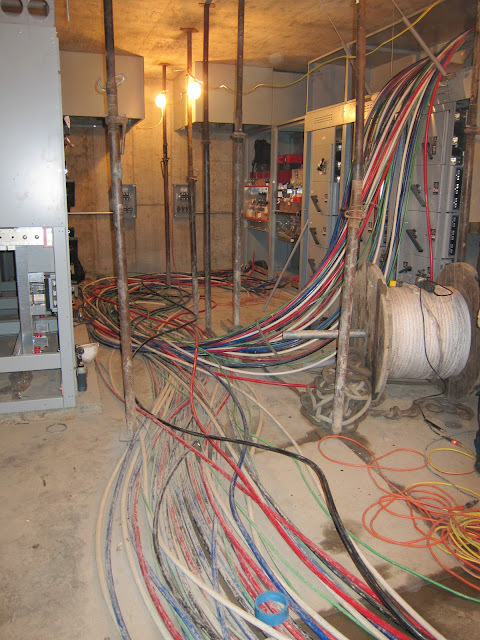 If you're wondering what might be taking so long... take a look at the amount of wires and connections we're talking about.